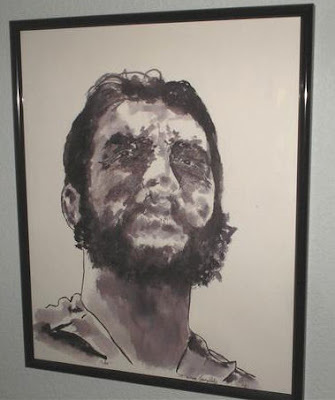 You can own the above Che Guevara drawing by yours truly by bidding for it here. I created this drawing while a student at the University of Washington School of Art in Seattle, Washington and it is one of my hundreds of portraits of Guevara over the years. This early original was acquired many years ago by a Texan collector and through the magic of the years and auctions, it is once again for sale. See and bid for it here. DC uberartist Tim Tate will be on the NPR program All Things Considered later today. on Monday around 4:20PM. Preview here.